From the first moment you step through our door at Westhaven at Vinings, you will know you are home. 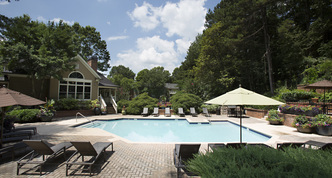 We offer charming Vinings GA apartment homes with unique features that will meet your every need and wish. We guarantee that our collection of lifestyle amenities will not be matched. The only thing we don't have . . . is YOU! Come meet our professional, caring team today. FROM THE NORTH: Head south on I-285 South. Take exit 18 for Paces Ferry Rd. / Vinings Turn left on the exit ramp. Turn right on Cumberland Parkway. Continue straight for ½ mile Turn left at Paces Station Walk. Destination will be on the left. FROM THE SOUTH: Head north on I-285 North. Take exit 18 for Paces Ferry Rd. / Vinings Turn right on the exit ramp. Turn right on Cumberland Parkway. Continue straight for ½ mile Turn left at Paces Station Walk. Destination will be on the left.